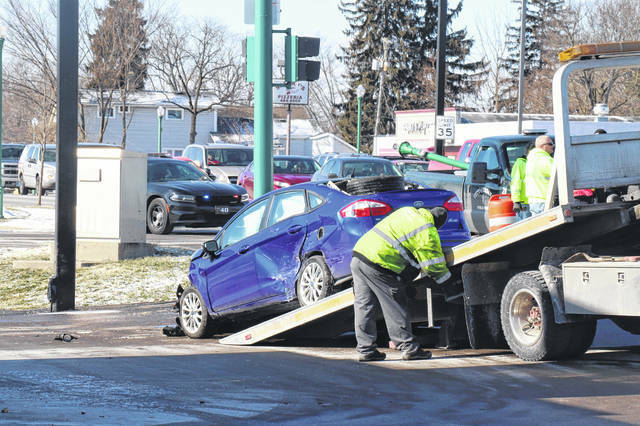 A two-vehicle crash Jan. 25 near Taco Bell in Urbana caused heavy property damage, but no injuries. 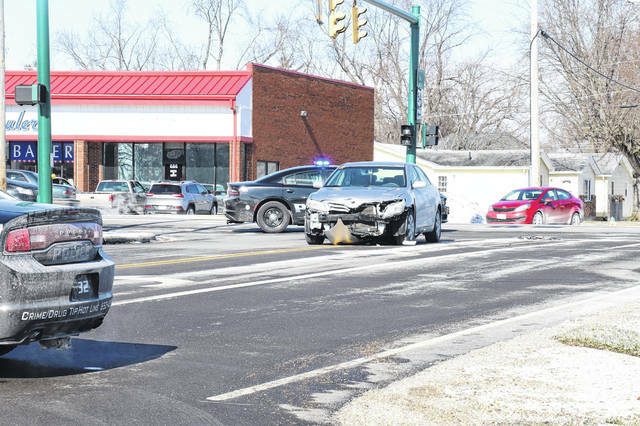 A two-vehicle crash at the intersection of Scioto and Jefferson streets on Jan. 25 caused heavy property damage, but no injuries. According to information from the Urbana Police Division, the crash remains under investigation. It was reported at 12:21 p.m. on Friday. The crash resulted in heavy damage to the two vehicles involved and to a city street light post and a fire hydrant. Urbana police, fire, street and water divisions responded to handle the crash and the damage. Preliminary investigation shows that the crash resulted when the driver of a 2014 Ford Fiesta, Noalene Newland of Urbana, was traveling southbound on Jefferson Avenue. Her vehicle entered the Scioto Street intersection on a red traffic signal and collided with a 2011 Toyota Camry, driven by Brenda Weaver of Springfield. Weaver’s vehicle was eastbound on Scioto Street in the intersection of Jefferson Avenue on a green light. The impact of the collision caused the driver of the Fiesta to drive over the curb at the southeast corner of the intersection, over a light pole, over a fire hydrant and come to a rest in the Taco Bell parking lot. This was the third crash in six days the UPD investigated at the intersection of Scioto and Jefferson streets.